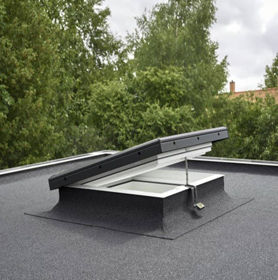 We offer a variety of Roof Lights from leading manufacturers including VELUX, who are deemed a first choice for many home owners and builders. 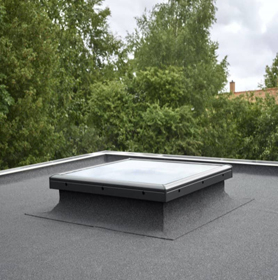 Roof Lights also known as Flat Roof Windows are an opening that Is created in the structure of a flat roof. This is to allow light to come into an interior space below. 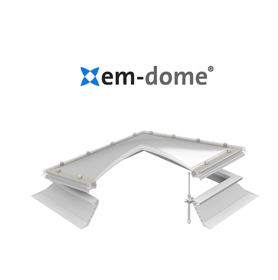 They come in a variety of styles such as; dome, curved glass, flat glass, fixed and opening. Why Install a Flat Roof Window? Flat Roof Windows aren’t just becoming popular amongst homeowners but also amongst architects and designers. They are a favourable addition to both an interior and exterior. 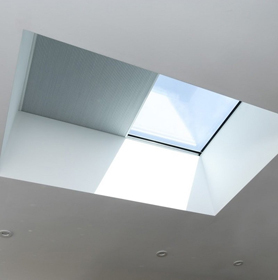 Installing Roof Lights into your home has a number of benefits that are often overlooked. Roof Lights have become increasingly more popular in recent years because they have become more affordable while constantly improving in quality. 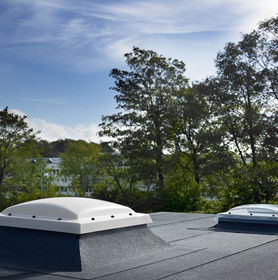 Although Roof Lights are great in the day as a natural source of light, bad weather or cold nights are just as enjoyable, giving you a soothing and protected glace into the outside conditions without having to leave your home. 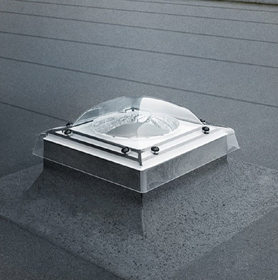 If you find the sound of rain on your window soothing, then Roof Lights are perfect for you. Flat Roof Windows often have unintended benefits that you wouldn’t expect from a window. 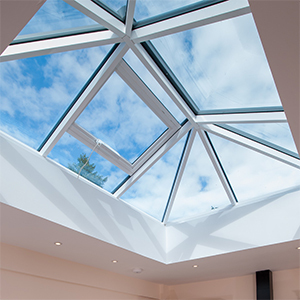 Positioning of your Roof Light is an important aspect to consider, you may find some rooms in your home might be more suited to natural light than others. You may prefer to add light to darker rooms in your home such as basements or rooms with low ceilings by fitting an interior Sky Light. 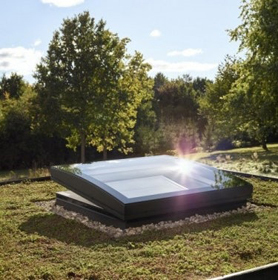 Whilst the idea of sitting under a Flat Roof Window is great, without the correct specification of glass you can end up with a greenhouse effect. 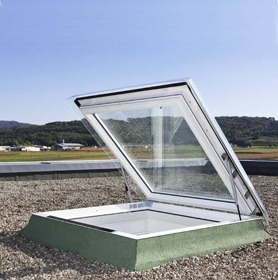 We offer both open and closed Flat Roof Windows if ventilation is your main concern. 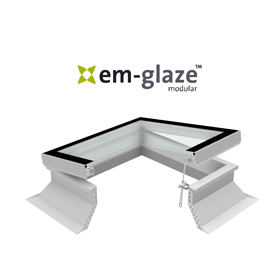 Our opening Roof Lights are available in electronic options. 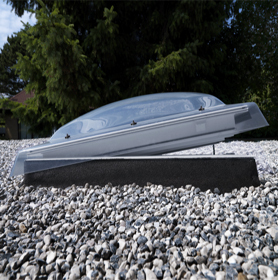 Our Roof Lights are available from industry leading brands including Mardome & VELUX. Our range of Flat Roof Windows includes a variety of styles and sizes to suit any home or commercial building. We have Roof Lights with contemporary low rise and streamlined profiles to suit more modern houses and Roof Lights with aluminium frames and silver finishes for a more traditional home.